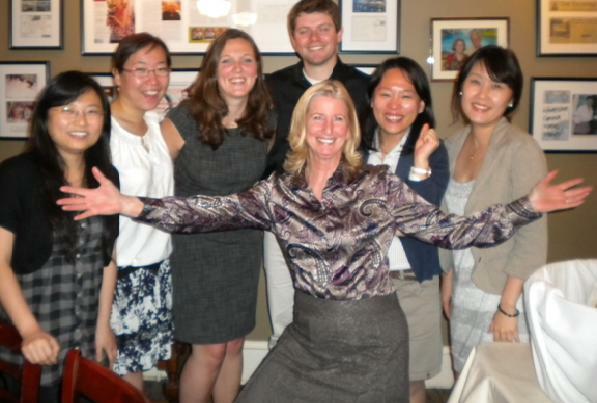 Three of Georgia Tech's PhD alumni gathered at Dr. Brown's house to celebrate Xiaojing Sun's new job at Wood Mackenzie. Also in the photo are alums Matt Cox and Benjamin Deitchman to the right. 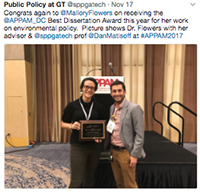 Shan Zhou, Marilyn Brown, Yu Wang, & Gyungwon Kim at Association of Public Policy and Management conference in DC, 11-10-2018: Georgia Tech dominated with its great energy and environment policy papers! In the FAO Headquarters in Rome where they met with Dr. Francesco Tubiello a Senior Officer at FAO, an expert of the linkages between agriculture, food security and climate change and an IPCC lead author. An excursion to the Dolomite Alps where they have discussed and seen how climate change is affecting the size of the glacier with a local guide. The tour of the unique MOSE system of barriers to protect Venice from storm waters. At the top of a terrace in Venice with an amazing view of the Grand Canal. 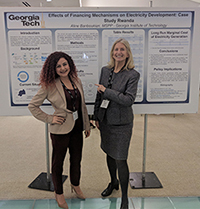 November 17th - CEPL honored the end of Tae Joon Lee's sabbatical at Georgia Tech, where he delivered a talk on "An Analytical Framework on the Energy Innovation System." 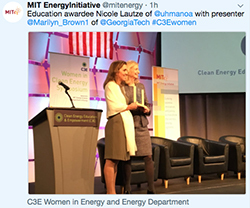 CEPL grad student, Aline Banboukian, was a finalist in the poster competition at the 2017 C3E Women in Clean Energy Symposium held at MIT, November 15-16. Scott Valentine (National University of Singapore), Skip Laitner (American Council for an Energy-Efficient Economy), Marilyn Brown, and Frank Southworth (Georgia Tech) at the Atlanta Beltline on July 24, 2017, preparing for the Energy Transitions Forum. 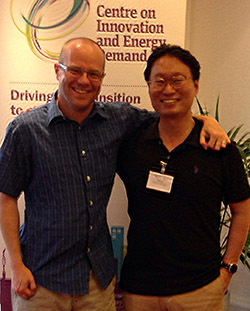 Yeong Jae Kim in the Centre on Innovation and Energy Demand (CIED) Summer School at the University of Sussex, Brighton, UK, with the Centre's Director, Benjamin Sovacool. 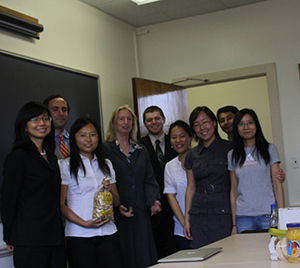 Joy Wang (and Ava) and Shan Zhou (and Ethan) with Marilyn Brown on graduation day. "Moms get PhD's too!" Marilyn Brown at the Bipartisan Policy Center's 10th Anniversary Celebration of the 2005 Energy Policy Act, with Joe Kruger, Phil Sharp, and Misha in Washington, DC.